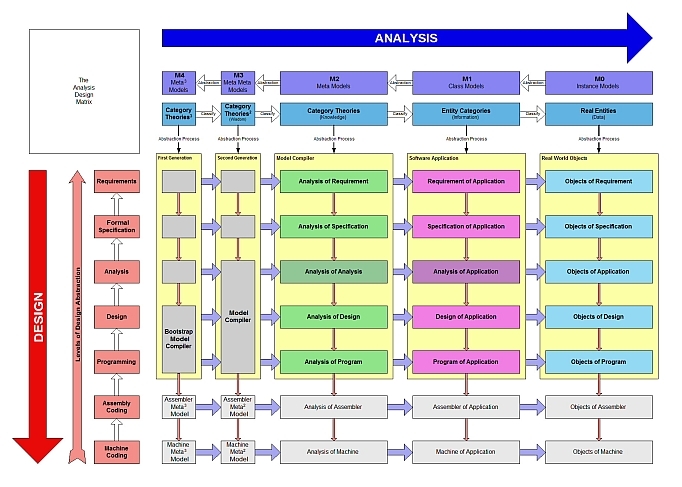 The Matrix Diagram is a deceptively simple "Big Picture" diagram that lays out the relationship between analysis and design. In one direction it documents the rising levels of design abstraction developed to cope with the increasingly complex technological environment required by the implementation of solutions. In the analysis direction, the evolution of Model Compilers is revealed to be shaped by the use of more sophisticated and efficient software architectures for full code generation.